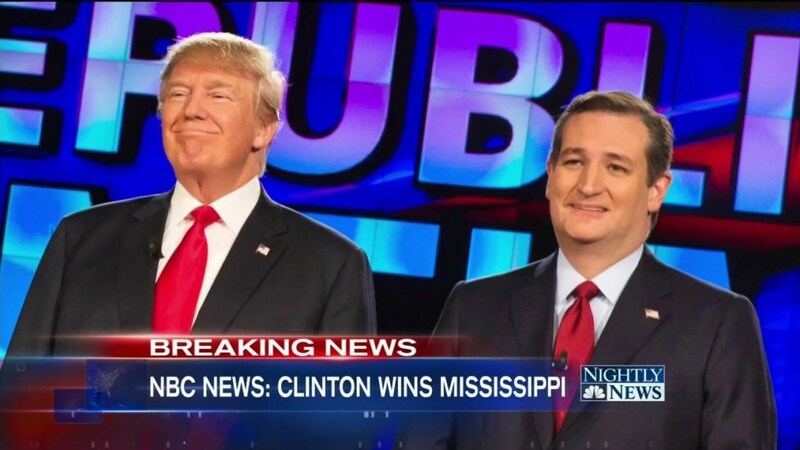 Donald Trump and Ted Cruz are locked in a tight Republican race – separated by just three points – according to results from a new national NBC News/Wall Street Journal poll. Trump is the first choice of 30 percent of Republican primary voters – followed by Cruz at 27 percent, John Kasich at 22 percent and Marco Rubio at 20 percent. Last month, the same NBC/WSJ poll found Cruz with a two-point lead over Trump, 28 percent to 26 percent, but that was before Trump’s big wins in South Carolina and Nevada. The new NBC/WSJ poll – conducted mostly after last Thursday’s raucous GOP debate and Mitt Romney’s blistering anti-Trump speech – differs from the weekly national NBC|SurveyMonkey online poll, which showed Trump leading Cruz by 19 points, 39 percent to 20 percent. The NBC|SurveyMonkey poll was conducted Feb. 29-March 6, so half before the debate and Romney’s speech. The new NBC/WSJ poll also shows Trump trailing his rivals in hypothetical one-on-one match-ups. Cruz and Kasich best Trump by an identical 17 points, 57 percent to 40 percent, while Rubio beats Trump by 13 points, 56 percent to 43 percent. 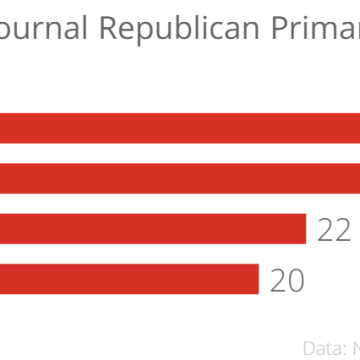 The NBC/WSJ poll was conducted – via landline and cell phone interviews – among 397 Republican primary voters from March 3-6, and it has a margin of error of plus-minus 4.9 percentage points. The rest of the NBC/WSJ poll will be released Wednesday morning.